The Poke Loa concept is a New Orleans take on the California Poke craze that was inspired by Hawaiian fisherman. 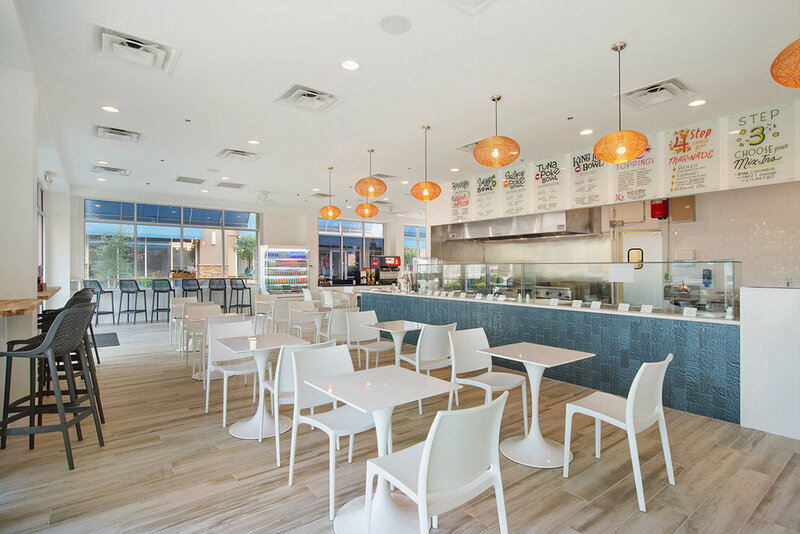 The quick casual service environment lets you build your poke bowl as you walk down the poke line by selecting a rice, fish, your choice of twenty different toppings, and a signature sauce. The projects are interior renovations of existing existing interior spaces. The scope of work includes renovating the dining room, adding a service line, adding a bar, and renovating the kitchen. 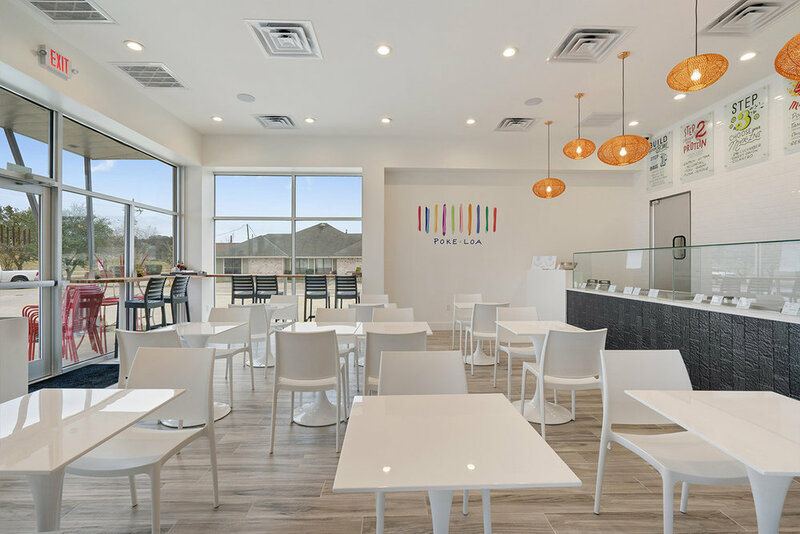 The Poke Loa aesthetic is to create a clean, light, and airy backdrop with pops of color that bring your attention to different restaurant features such as how to create your poke bowl or where to find an adult beverage. The wood elements create warmer spaces for those patrons who decide to have a more leisurely dining experience. There are also moments with unique wall paper that are the perfect opportunity for social media engagement. 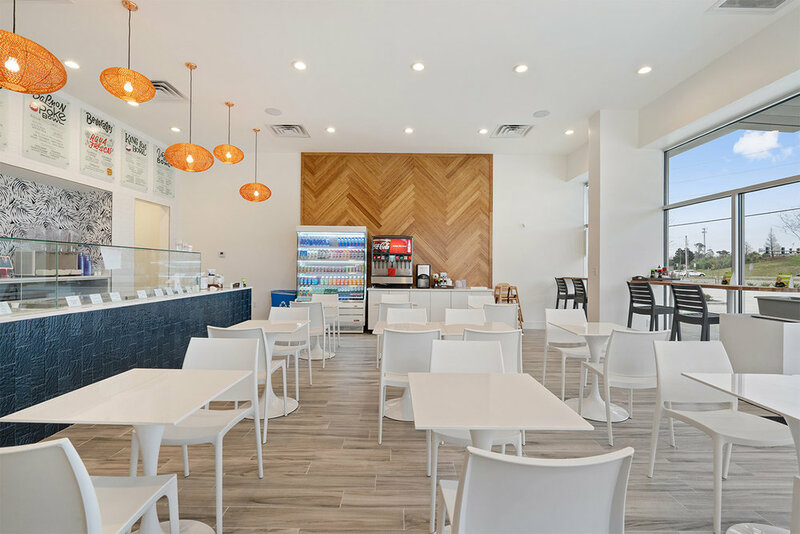 As a cold prep concept, the demand on services spaces is less greasy compared to other restaurants, which allows for more economical finishes such as LVT and FRP on the service line and in the kitchen.